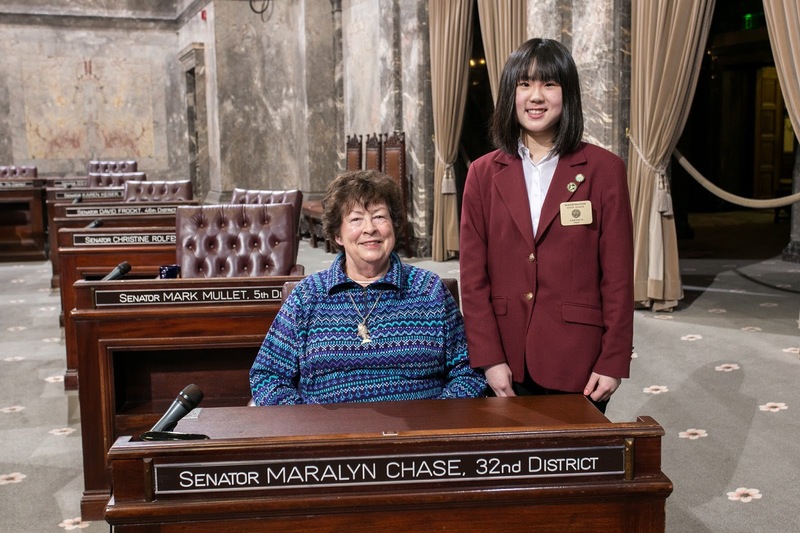 Carina Ly, 16, served as a page in the Washington State Senate during the week of January 8. Pages are sponsored by the Senator from their legislative district. 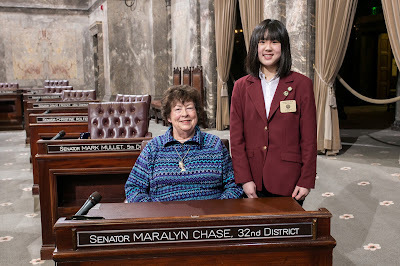 Sen. Maralyn Chase, D–Edmonds, sponsored Ly’s week in the Legislature. The page program offers a hands-on opportunity for students to find out how state government works. The interactive learning experience includes classes focused on topics like budget writing and how a bill becomes a law, and culminates in pages creating their own bills in a mock committee setting. The educational experience is furthered by guest speakers. Pages also have the opportunity to work on the Senate floor. Their maroon coats and credentials allow them access to all parts of the Capitol Campus. “I learned a lot about government and now I have a real interest in it,” Ly added. Ly is in 11th grade at Edmonds-Woodway High School. She is an Associated Student Body officer at her school, is vice president of her school’s Future Business Leaders of America chapter and is vice president of her school’s Chinese language club. For more information about the Senate Page Program, email.